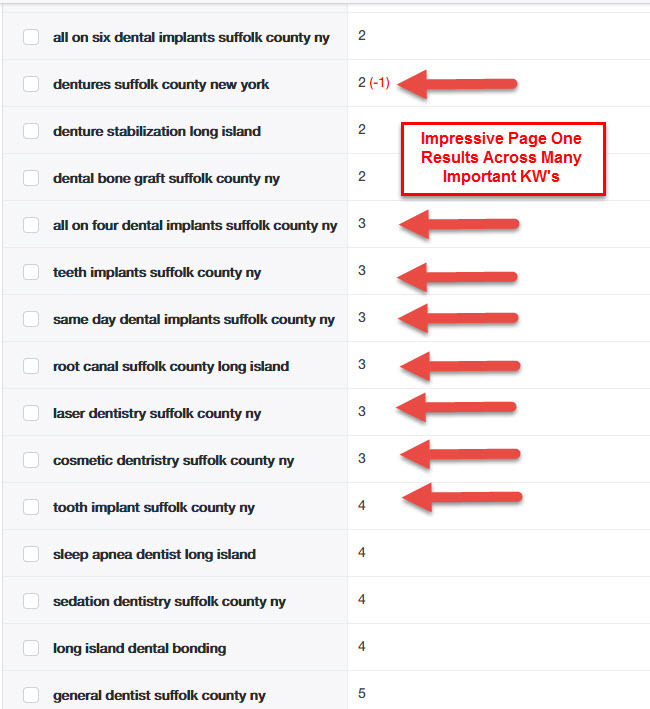 A cosmetic dentist located in New York asked us to help with their organic search rankings. 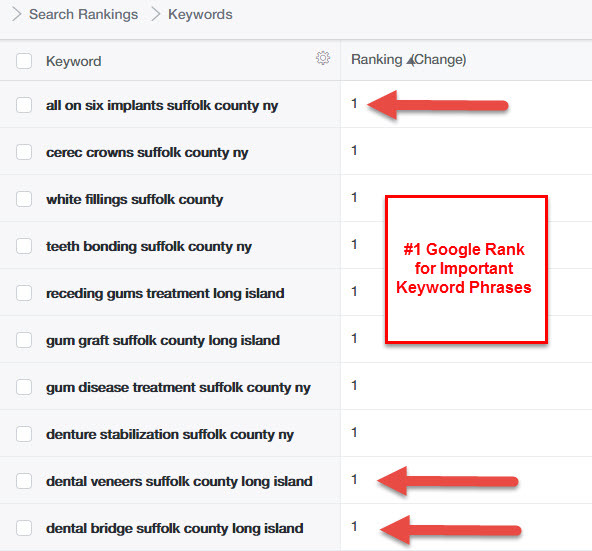 A cosmetic dentist located in New York asked us to help with their organic search rankings. We monitored 50 keyword phrases; the average Google rank across all 50 phrases was over 60 when we were brought in (meaning the average keyword phrase was showing up on page 6-7 of Google search. We determined that their SEO strategy was ineffective and had to be overhauled completely. We changed their strategy, created new content, updated their landing pages, fixed errors and began an inbound link strategy. You can see on the graph, the average keyword position went from over 60, up to 6.4 (page one) in Google search results.